Back in 2015, I went looking for a Mermaid miniature for my wife to use in the Broken Covenant campaign. Um. Yeah. 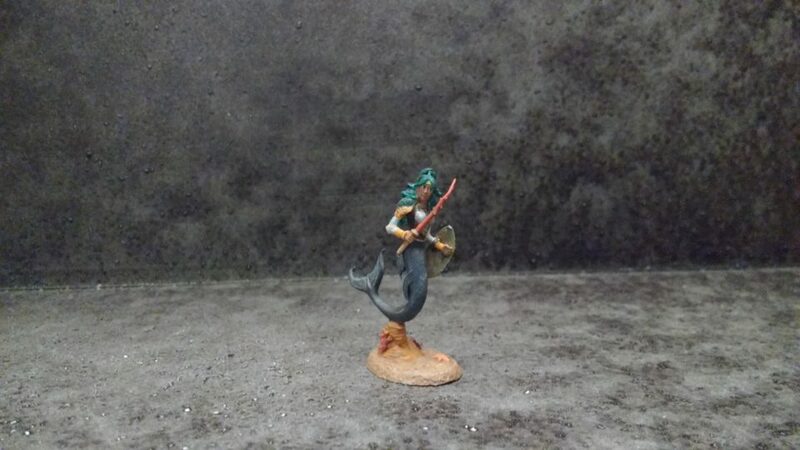 It was quite challenging to find a clothed Mermaid miniature…much less one that looked cool… Fortunately Dark Sword Miniatures came to the rescue with their excellent Mermaid Warrior! This was a great sculpt to paint, lots of details and character – it did cost more than the standard pewter miniature but worth the cost for a hard to find character type. 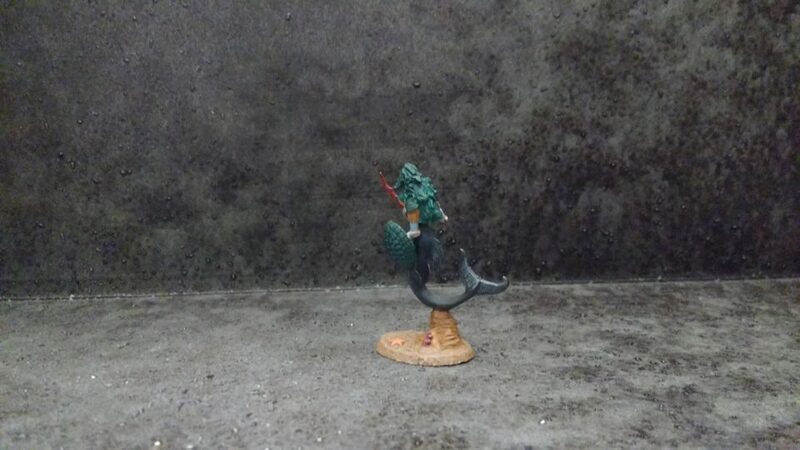 The coral sword, turtle shield/shoulderpads, and shell armor all really establish this miniature as a character. My wife’s character was the guardian of a coral reef so I tried to incorporate that kind of color scheme. I think this is the best facial detailing I’ve done to date…which is gratifying (because your spouse’s miniature is the one to get right) and frustrating (because it felt like random luck rather something I controlled).